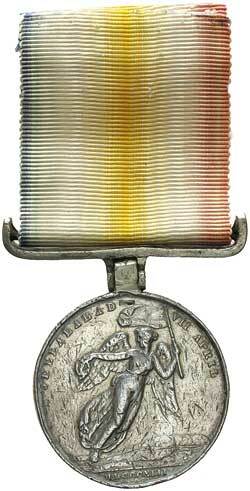 JELLALABAD MEDAL 1841-42, type 2 Victory reverse, with straight suspender with steel clip and pin fitting. Unnamed. Fine but with very heavy contact marks therefore poor. CHINA WAR MEDAL 1841-42. *Daniel McNaughton. 26th Regiment Foot. **. Impressed. Very fine.